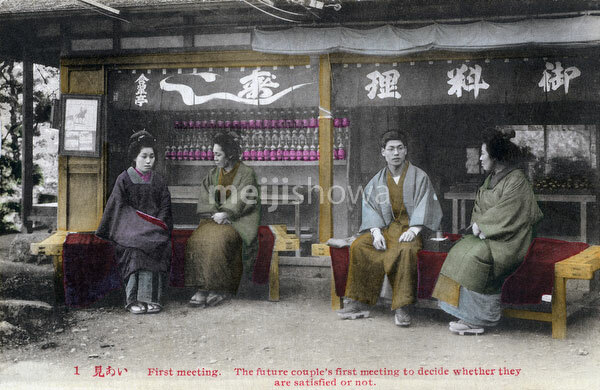 Japanese Marriage: Arranging a meeting with prospective partners. Arranged marriages are called omiai. This image comes from a series of cards about Japanese marriage customs.